Joseph Smith was 14 when he prayed to know which church was right. Heavenly Father and Jesus Christ appeared to him, and he learned that none of the churches on the earth had the whole truth. 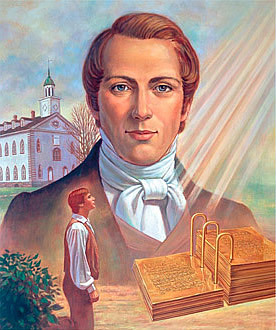 Joseph Smith helped restore the true gospel of Jesus Christ and became the first prophet of the latter days. As part of his work, he translated the Book of Mormon from gold plates and directed the Saints to build the first temple in this dispensation, the Kirtland Temple.